Cromagnon Aquitaine Cigars - Buy Premium Cigars Online From 2 Guys Cigars . 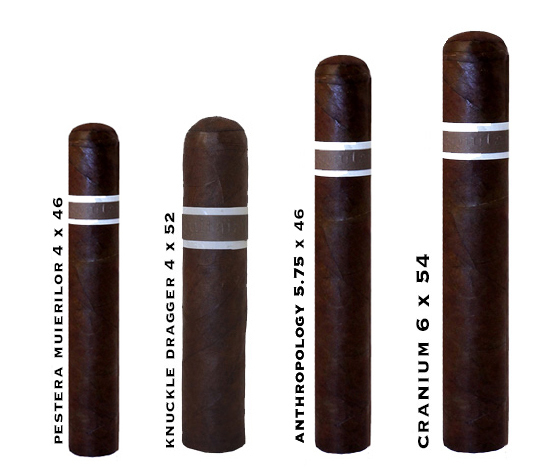 The Aquitaine contains the same long-filler, full-bodied blend found in the US Connecticut Broadleaf Maduro wrapped CroMagnon, including its unique Cameroon binder. However, the Aquitaine features a beautiful Ecuador Habano Ligero wrapper selected from the best tobacco RomaCraft could find. This eighth and ninth priming ligero leaf is thick, oily and has amazing texture. The filler leaf for this blend was acquired from three separate growing regions in Nicaragua: Esteli, Condega and a small farm north of Esteli on the Honduran border, Pueblo Nuevo. This third leaf, a ligero, brings a strong, smoky, savory flavor to the blend. When combined with the spicy characteristics of the habano wrapper, the exotic bite of the Cameroon binder and the clean finish of its viso and seco companions, the blend adds another dimension to the deep rich tobacco flavor presented in the CroMagnon. CroMagnon transcends lifestyle. CroMagnon is our culture.